Deke was produced here at Show Stoppers with his Grandsire being our Duke (picture below) who had 22 champions on his Pedigree! 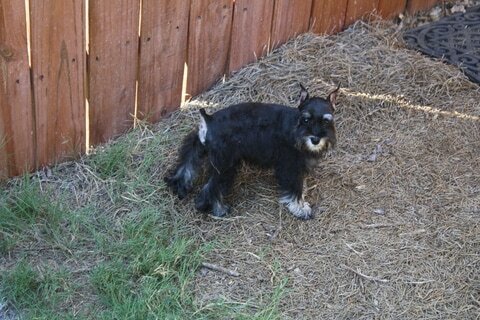 Deke is a black/silver 7 lb little man. 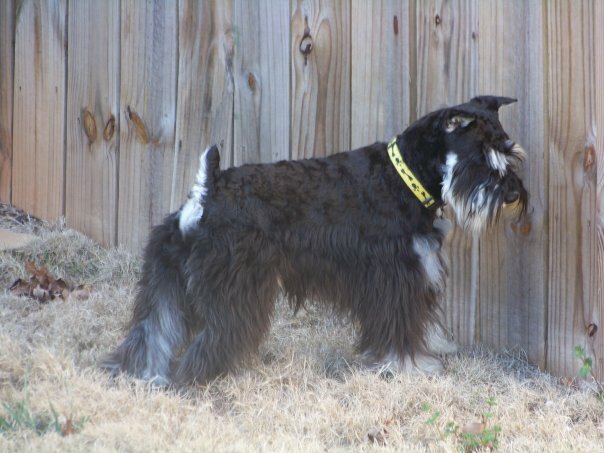 He has a nice thick coat and produces black/silver and salt/pepper. We are so excited to see the puppies by this fine young male in 2017! This is Duke, Deke's Grand Sire! Isn't he gorgeous! This is Duke's Son, Houdini and the Sire to our Deke. Both are retired.